The world is going nano and modular, and Tuler kitchen is another addition your collection of easy-to-access. For the purpose of looking versatile and yet functional, the Tuler Kitchen was designed by Marmo Arredo and Tipic and will be marketed by Offmat. What makes it truly stand out from the rest kitchen islands is its unique feature of disappearing in plain sight. 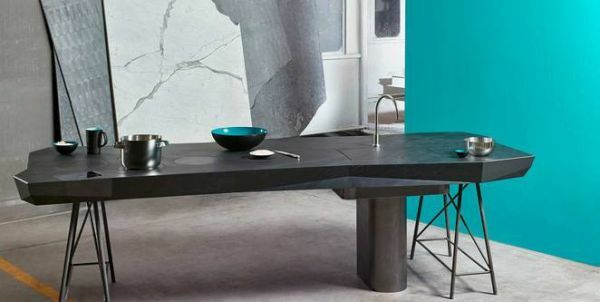 At first glance, the kitchen slab looks like a huge stone table, but on closer look you realize the designing genius that has been harbored under a stone slab. The most distinguishing feature of the kitchen is the disappearing sink. There are four cook tops in the kitchen that are all induction, and the heat inductors have been placed below a very thin layer of stone. These induction tops derive their heat power by the action of lasers. These stoves are integrated with a covering hood. 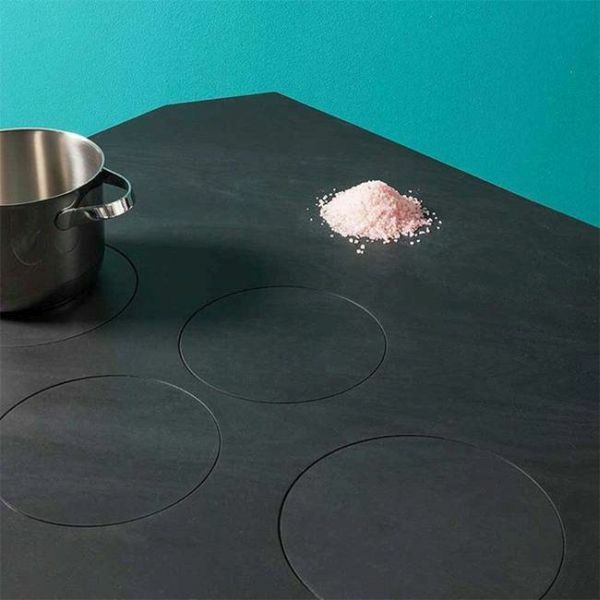 While the slab appears relatively flat and straight, however with one simple hand gesture this flat surface converts into a sink. Genius? Yes, it is. The flat appearing surface gives way to a complete traditional sink by the movements of your hand, so the sink is basically hiding in plain site. Added to the already splendid design will be what every kitchen needs, a wireless cellphone charger. As our smartphones have taken a major role in our daily schedule, so why leave your phone out when you are cooking? Conceived from the idea of modernizing and making your already modular kitchen more modular, the Italian design studio Marmo Arredo has come up with this smart kitchen. It debuted in the Salone de Mobile design festival in Milan this year and grabbed the attention of all with its “Invisible Sink”.